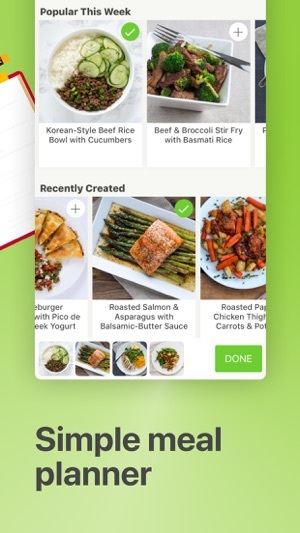 Mealime is a simple way for busy singles, couples, and families to plan their meals and eat healthier. Our meal plans & recipes are highly customizable so you can easily personalize a plan that works with your unique tastes and lifestyle. Join over 1,500,000 people who have used our meal plans to eat healthier, reduce stress, lose weight, save money, and live happier, more productive lives. We've reimagined and streamlined the cooking experience. Prepare meals quickly with our step-by-step and hassle-free cooking instructions. You'll never again have to jump around looking for an ingredient, instruction, or piece of cookware that you may have overlooked. Each week you'll have a personalized meal plan with simple & healthy recipes that are catered to your exact needs and preferences. Eliminate decision fatigue after a long day's work - simply pick a recipe from your meal plan and cook it in less time than it takes to pick up an unhealthy (and expensive) takeout meal. With the most personalization options of any minimal-waste meal planner out there, you can cook exactly how you want to eat. 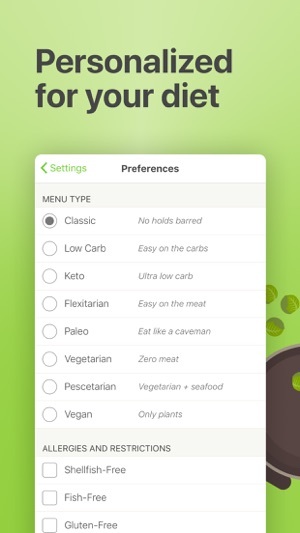 From classic, flexitarian, pescetarian, low carb, paleo, keto, vegetarian & vegan diet types to gluten free, dairy free, and a dozen more restrictions, and hundreds of individual dislikable ingredients, your meal plans will be truly personalized to your specific needs. When you build a new meal plan, a grocery list of all the ingredients you'll need for the week is automatically created. 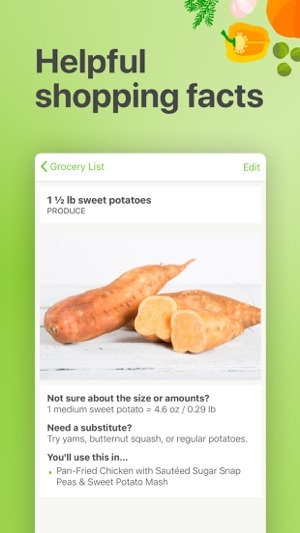 Simply grab your iPhone, head to the grocery store, and get all your week's shopping done in about 20 minutes with our step-by-step grocery list optimized with standard grocery store layouts in mind. It's annoying when you purchase ingredients from the grocery store, cook a meal or two, and have a bunch of ingredients going bad by the end of the week, isn't it? With Mealime, your days of wasting food are over! All meal plans are intelligently created in order to eliminate food waste as much as possible, saving you hundreds of dollars per year. 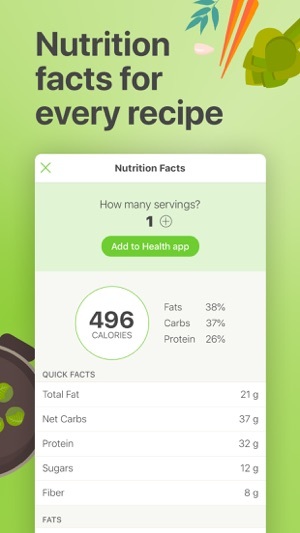 Every Mealime recipe lists comprehensive nutrition information so you can easily see what you're eating. Mealime integrates with the Health app so that you can easily see all of your health information in one place! Mealime is free to download and use. 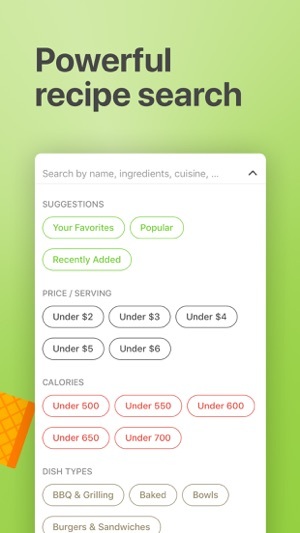 Should you choose to upgrade to Mealime Meal Planner Pro, we offer two auto-renewing subscription options - one at a price of $5.99 USD / month and one at a price of $49.99 USD / year. These auto-renewing subscription plans renew automatically unless cancelled at least 24 hours prior to the end of the subscription period. If on our monthly plan, the renewal price will be $5.99 USD and will continue every month until cancelled. If on our annual plan, the renewal price will be $49.99 USD and will continue every year until cancelled. Payment will be charged to your credit card through your iTunes account at confirmation of purchase. Your iTunes account will be charged for renewal within 24 hours prior to the end of the current period. There is no increase in price when renewing. Subscriptions can be managed by the user and auto-renewal turned off by the user in Account Settings in iTunes after purchase. Once purchased, refunds will not be provided for any unused portion of the term. - Scale your favourite recipes to 2-, 4-, or 6- servings on the fly. - Loading recipes when building a meal plan is now lightning fast. - It's easier to reset your password from inside the app. - Lots of smaller improvements! If you're enjoying the app, please help us out by leaving a review. My husband and I are newlyweds and prepping three or four meals a week together led to arguments, missing ingredients, and an unfortunate number of late night visits to Wendy’s. A friend recommended this app and the world changed. My husband is not an experienced cook, but the directions are clear and straight forward, allowing him to cook alone and with confidence. 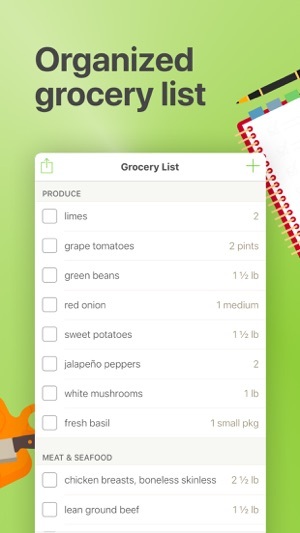 The shopping list feature allows you to make sure you have all the ingredients and check them off. This allows us to mark the ingredients we have in the pantry then buy what we need at the store. It is also customizable so you can add your breakfast and snack items to the same grocery list! Finally, there are so many options, even with the standard edition, you don’t get bored. The foods integrate fresh herbs and vegetables and almost every meal is delicious and high quality. If you paired this with grocery delivery/ pickup (which would be super easy because it makes a grocery list) it would be exactly like the pricey kits, but much cheaper. We love it! Try it for a couple weeks and you will not look back. The app I tell everyone I know about! I used a meal kit delivery for awhile and loved it but when it was time to start pinching some pennies and we eliminated that from our budget. I became so overwhelmed trying to meal plan that I thought we’d just eat the same thing every night because I couldn’t possibly come up with enough lunches and dinners for everyone. I decided to see if there was any kind of app that could possibly help me and stumbled upon Mealime and since my first time using it I have loved it so much I tell everyone I know about it. 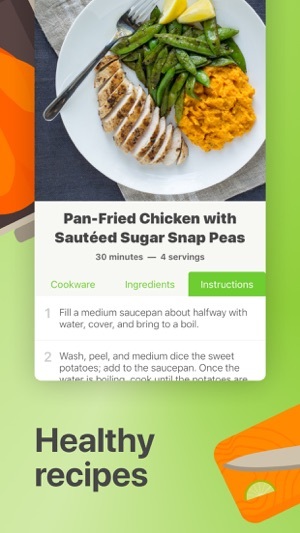 We have not had a bad recipe yet, my husband loves the meals, my kids love the meals, and I enjoy cooking with the app. In cooking mode, they list out the amount of each ingredient you need. 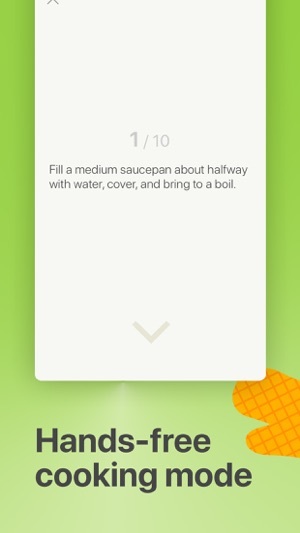 This is huge because other apps don’t tell you how much and you’re constantly having to scroll from your list of ingredients back to the recipe part. They offer suggestions for alternative ingredients which has helped me save some money if something was too expensive or out of stock I could replace it. After about 2 months using the app every week and being 100% satisfied I did decide to go with the pro version. And I still tell everyone I know to get this app! I love it and only have good things to say about it! © 2018 Mealime Meal Plans Inc.